For 242 years, the U.S. Navy — more specifically, the forward-deployed and globally-present surface force — has safeguarded our economic, diplomatic, and military security interests. 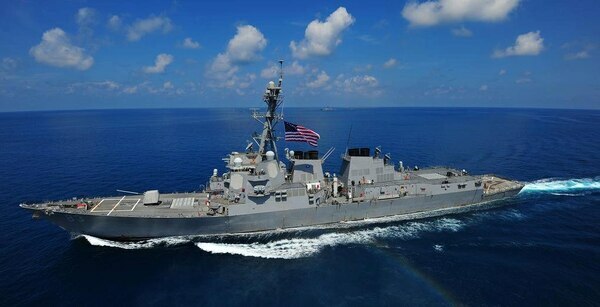 Our nation’s civilian and military leadership have employed this force in every century of our existence to maintain freedom of movement on the high seas, to protect the flow of goods and services on the world’s oceans, to defend maritime chokepoints, and to preserve a stable environment in which all law-abiding nations can flourish. Recently, the people and platforms of our surface force expertly launched targeted precision strikes in response to a government’s use of chemical weapons on its own people — the second such incident in as many years. We have sailed our carrier strike groups to project power and deter potential aggression. We have conducted theater anti-submarine warfare to safeguard critical sea lines of communication. We have provided ballistic missile defense to shield our partners and allies. A team able to deliver those far-reaching and wide-ranging results — as our nation expects and as the U.S. Navy’s surface force has historically produced —must be properly manned, trained, equipped, and well-led. Persistent, demanding, global operations last year exposed vulnerabilities in these areas, which led to the Comprehensive Review (CR) and Strategic Readiness Review (SRR). This “running fix” — the first in a potential series — describes our progress. Operating in a dynamic and increasingly complex environment is unforgiving. It requires every officer and sailor who goes to sea to be a professional mariner and a skilled warfighter. Leadership within this environment demands thoughtful compliance with exacting standards, continuous improvement of processes, and brutally honest self-assessment of both individuals and teams. In a fight where nothing less than control of the seas hangs in the balance, the old adage that “we don’t rise to the level of our expectations; we fall to the level of our training” rings true. We owe it to the American people and to our national decision-makers to ensure our surface force is ready to do the nation’s business. We owe it to our shipmates and to ourselves to do whatever we can to emerge victorious from any fight, against any enemy, at a time and place of our choosing. Winning is the only acceptable outcome. That’s our goal — that’s our destination. So to reach that goal, just as any seasoned mariner planning a voyage would do, we pick waypoints along our journey that serve as opportunities to ensure we are on course and speed. Taken as a whole, these waypoints — at the individual, unit, and fleet levels — gauge our progress, inform adjustments to our course, and ultimately deliver us to our destination, ready to take on any challenge and win over and over again. Our surface forces afloat and ashore require surface warfare officers (SWO) of competence and character to lead them. Although the jump from midshipman or officer candidate to ensign is a seismic one, an officer’s professional progression from commissioning to command —the ultimate leadership position —is relatively linear. The best way to gain experience at sea is by being at sea! There is no doubt that sea time contributes to the strength of an officer’s professional foundation. However, a continuum of formal education and experience is also vital to building expertise over time by reinforcing and enhancing the skills learned in ships —and the learning never stops. Surface warfare is an exacting profession where character, competence, judgment, skill, and experience are blended throughout a career at sea. The SWO career path must have a single goal in mind: to produce commanding officers who are warfighters and leaders of character. It focuses on driving the ship as a division officer, “fighting the ship” (mastering tactics, employing weapons and sensors) as a department head, managing the ship as the executive officer, and commanding the ship as the captain. Moreover, it will develop a commanding officer who possess a full array of warfighting skills, including shiphandling, operations, tactics, combat systems, engineering, and damage control. This career progression will blend classroom training, simulators, shipboard experience, rigorous assessments, and candid feedback. The first stop along the SWO career path is service as a division officer. Division officers will serve a combined 48 months at sea in ships (either by completing a 30-month first tour followed by an 18-month second tour on a different ship, or by completing a 48-month single longer tour on the same ship). Revised schooling and assessments will occur in between the first and second tour or at around the 30-month point (for those officers completing a single longer tour). In contrast to previous years, second tour division officers will no longer serve in afloat staff billets; as a result, the requisite 18-month second tour in ships in this new career path affords approximately 38 percent more sea time for these junior officers. Department head and command-level training will continue in Newport, Rhode Island and Dahlgren, Virginia to incorporate shiphandling, navigation, maintenance and tactics with revised assessments and defined go-no-go criteria. Similar to division officer tours, department heads will serve a single longer 36-month tour in one ship or complete two 18-month tours in two ships. Second tour department heads will no longer serve in afloat staff billets. The length of time between department head and executive officer will be shortened as the force evaluates the XO and CO progression. But one thing will not change — a forceful emphasis on the principles at the heart of command: authority, responsibility, accountability, and expertise. These were recently highlighted by Chief of Naval Operations Admiral John Richardson in his April 2018 Charge of Command. “Command,” he wrote, “is the foundation upon which our Navy rests,” and the SWO career path will be singularly focused on developing commanders who can skillfully and consistently lead their teams to achieve their best possible performance, to include winning decisively in combat. To build officers immediately ready to stand watch, we will augment the recently re-established nine-week Basic Division Officer Course (BDOC) with a rigorous six-week Officer of the Deck (OOD) bridge watch standing course centered on International Convention on Standards of Training and Watchkeeping (STCW) requirements. A second phase three-week OOD course will be attended prior to commencing the Advanced Division Officer Course (ADOC) focusing on Bridge Resource Management (BRM) and team building. This course must be passed in order to continue to a fleet-up tour on the same ship or a second division officer tour. Taken together, this new training model will increase formal schoolhouse instruction for first and second tour division officers from 14 weeks to 23 weeks. This cycle of training, assessment, and experience will continue throughout an officer’s career at every afloat milestone — to include command and major command. To that end, experience at sea in ships is the highest assignment priority. Developing commanding officers who maintain an intense focus on winning, ready to sail over the horizon to face any challenge, and bring their team back stronger than when they left is the gold standard — our prominent aid to navigation. Of course, individual mastery is by itself insufficient. Ships that put to sea are made up of winning teams — teams that must perform at a level greater than the sum of their parts. By necessity, these units must demonstrate proficiency across a wide array of mission sets spanning from internal damage control to long-range anti-air warfare and everything in between. They must possess the tools, techniques, and time to train and be certified for victory in combat. To better challenge our crews for complex environments, we are creating maritime skills training centers (MSTCs) in Norfolk and San Diego that will support high fidelity individual and team training. Just as with individual skills training, they will also facilitate assessments and feedback discussions to ensure a unit’s capabilities match the challenges they can expect to face. Additionally, new watchbill instructions will offer adequate periods for rest and we continue to pursue ways to reduce administrative tasks that do not directly contribute to combat readiness. Immediate supervisors in command (ISIC) have a role to play here, too, and their navigation check-ride will evaluate the proficiency of the ships and crews to safely navigate in a range of scenarios after extended maintenance periods and before a ship deploys. All unit-level training, assessments, and feedback will seek to strengthen and reinforce team building, team leadership, and team effectiveness. “Readiness” requires units to identify, articulate, and manage risk at the appropriate level. Unit readiness also necessitates a disciplined process to plan, brief, execute, and debrief shipboard training drills, special evolutions, and real-world events to absorb lessons and apply best practices. The Surface and Mine Warfare Development Center (SMWDC) and the creation of warfare tactics instructors (WTI) have been instrumental in this regard, emphasizing the role of doctrine, championing data-driven analytic training approaches, and inculcating a warfighting mentality within our wardrooms and combat information centers. Finally, unit readiness is at least in part a function of the systems installed onboard and the crew’s proficiency to operate them. Consequently, we released a comprehensive Fleet advisory on safe operation of all variants of steering systems; completed a survey of all ships with integrated bridge systems for feedback and lessons learned; established standards for use of the Automatic Identification System when transiting high traffic areas; and evaluated existing “redline” policies with respect to navigation, radar, steering, and propulsion. As the Surface TYCOMs produce and deliver properly manned, trained and equipped ships, the two numbered fleet commanders (3rd Fleet and soon to be 2nd Fleet) produce carrier strike groups, expeditionary strike groups and independent deployers through intermediate and advanced training. During the intermediate training phase, the Surface and Mine Warfare Development Command (SMWDC) is now into their second year of conducting surface warfare advanced tactical training (SWATT) specifically designed to increase the warfighting capability of our ships and prepare them for the high end Advanced Training and Certification phase conducted by CSG 4 and CSG 15 during COMPTUEX. These units then enter a sustainment period of readiness during which fleet commanders can employ those ready forces — either as part of a carrier or expeditionary strike group, or as independent deployers — within the scope of their training and skill sets to increase our competitive advantage. 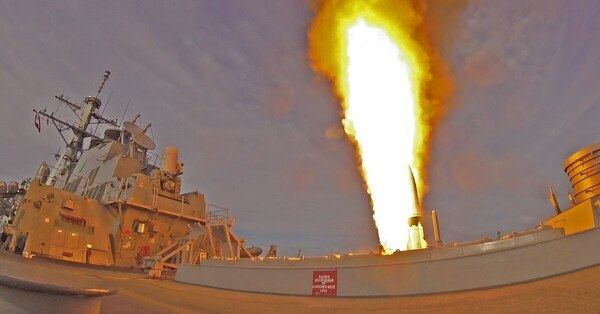 For FDNF-J, 7th Fleet is developing intermediate and advanced training exercises similar to SWATT and COMPUTEX to be executed by SMWDC and CSG-15, Valiant Shield Exercise certification events. Additionally, working hand-in-hand with OPNAV and Fleet leadership, we have taken action to bolster the readiness of our rotational and forward-deployment ships. We cancelled all existing risk assessment mitigation plans (RAMPs) to more closely assess actual readiness across the fleet; we adjusted overseas presence based on future overseas homeporting and strategic laydown plans; we evaluated all current operational requirements in the Western Pacific against available resources; we developed a force generation model for ships based in Japan addressing operational requirements while preserving maintenance, training, and certification windows; and we restored the U.S. Seventh Fleet’s deliberate scheduling process. America is and always will be a maritime nation but the strategic environment in which we sail is fast-paced, increasingly complex, and oftentimes uncertain. Make no mistake: as the National Defense Strategy clearly states, the competition is on for maritime superiority. These factors demand urgency. We must build teams with the requisite training, skills, and equipment to be effectively employed to fight and win any battle, against any challenge. This requires striking a balance between the ability to produce ready forces and the number of missions to which we assign ready forces. Our three fixed waypoints — mastery of individual skills, unit level readiness, and fleet employment and leadership — will help to achieve that balance even as we retain maritime superiority. This is the job of the surface type commanders — we own this and are underway at flank speed. Vice Adm. Richard Brown is commander of Naval Surface Forces (SURFOR) and commander of Naval Surface Force U.S. Pacific Fleet.